Newton Baroque, directed by keyboardist Andrus Madsen, is a period instrument ensemble dedicated to innovative performances of Baroque repertoire. 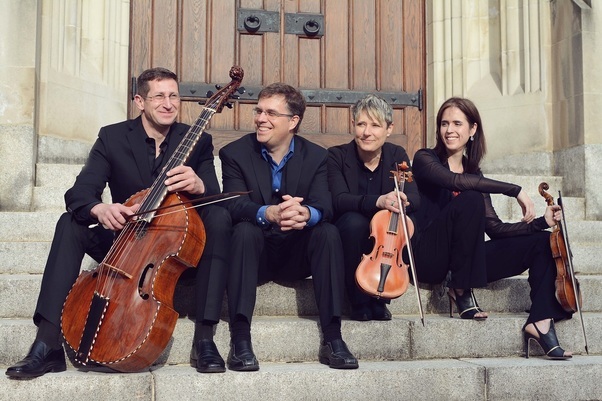 The outstanding musicians of Newton Baroque are known for their enjoyment in taking musical risks together and imbuing their performances with a spirit of improvisatory spontaneity. Music for Good Friday from 1730s Naples, including Pergolesi's Stabat Mater, Francesco Durante's Lamentations of Jeremiah, and Allesandro Scarlatti's Miserere Mei all in the context of a tenebrae ritual. Nicole Estima soprano, Tai Oney alto. Flutists Mary Oleskiewicz and Christa Piehl Evans Team up with Andrus Madsen to play more ridiculously over the top music from Sarah Levy's circle of brilliant composers, including works by Carl Philipp Emanuel Bach, Johann Gottlieb Janitsch, and Johann Gottfried Graun.